Snack Distributor card. 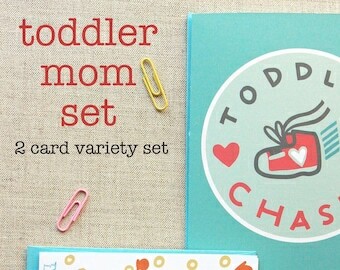 Toddler mom card. Mother card. Mothers day card. Funny mom card. Mom with toddlers. 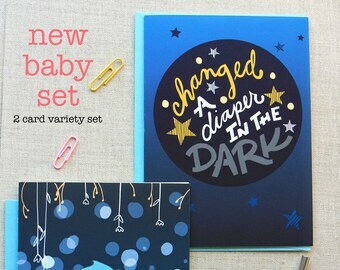 Boy mom card. 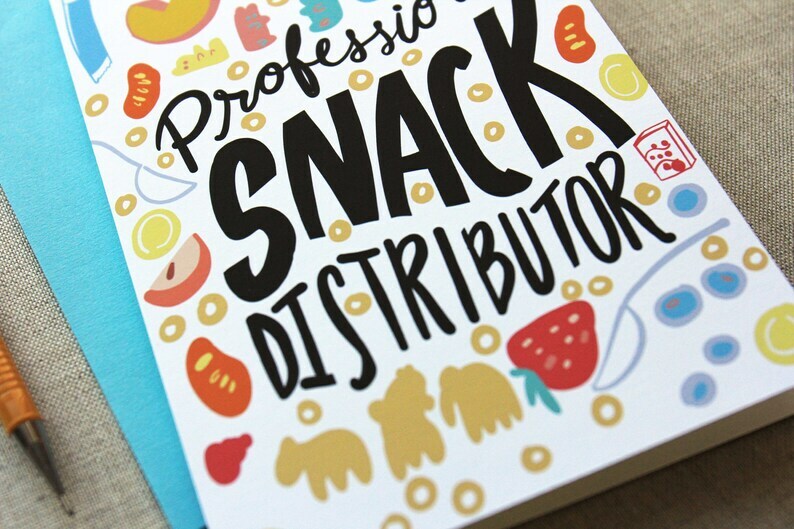 Do you know a professional snack distributor, aka mom? This card is sure to give her a giggle. Original illustrations by me, these 5x7" folded cards have been printed on an ink jet printer for high quality print reproduction. 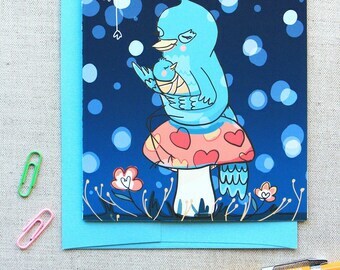 • Comes with an adorable aqua envelope. Toddler Chaser. Toddler mom card. Mother card. Mothers day card. Young mother card. Mom with toddlers. Cute mom card. Mom birthday card. 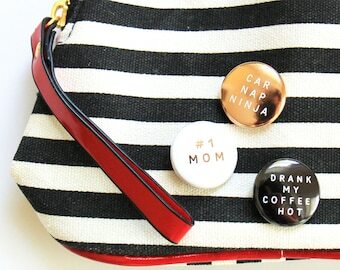 MOM BADGES! for toddler moms. 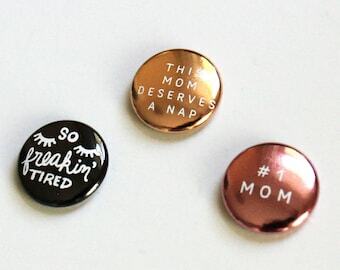 Mom pins. Mom gift ideas. 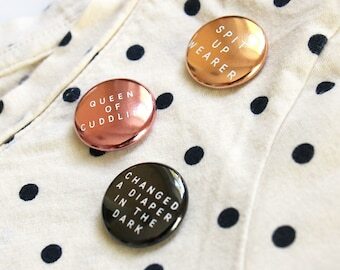 Pin gift for new mom. 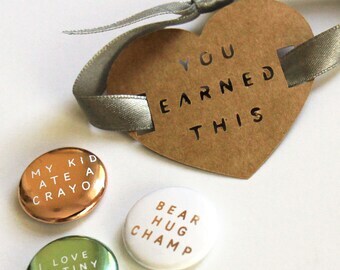 Toddler mom gift ideas. Gifts under 15.